Newberg resident Lydia Keuler gave birth to a son last September and after deciding to be a stay-at-home mom, anticipated being an active school volunteer once he began school. Keuler decided, however, not to wait to get involved and will be way ahead of schedule by the time he enters kindergarten; she was appointed to the Newberg School Board at a special meeting held May 10. "When I saw this position was opening up, I thought it was a great way to get involved even earlier," she said. 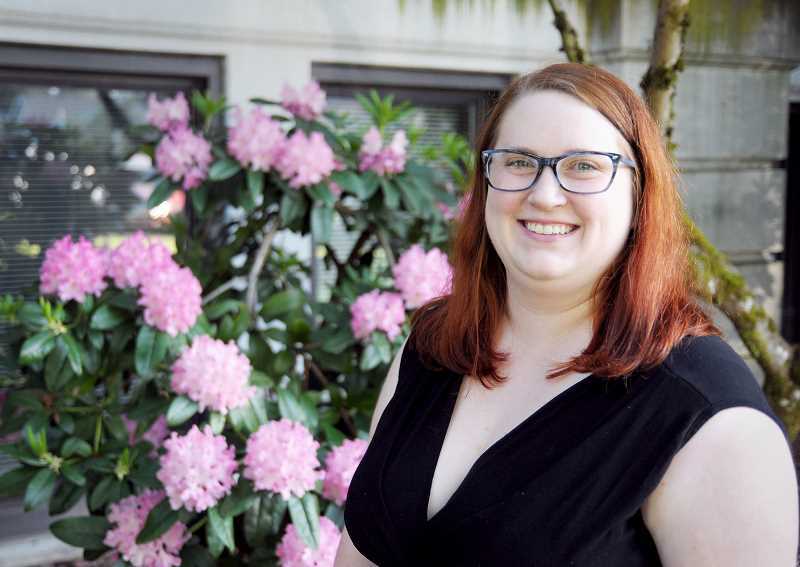 "That way I can really know the district and everything that is going on by the time he gets to school and, hopefully, have a really good impact on the district in the meantime and do my best to make sure kids are getting the best education they can in Newberg." Keuler will replace Debbie Hawblitzel, who officially resigned May 8 due to an anticipated move out of Zone 7. She will serve the remaining year of Hawblitzel's term, which concludes in June 2019. According to board member Melinda Van Bossuyt, Keuler was one of two applicants the board interviewed and noted that both were good candidates. "They were both terrific," Van Bossuyt said. "(Keuler's) been attending budget committee meetings, so she's been around watching things going on and to learning." Keuler grew up in Portland and attended the University of Oregon, earning a degree in business and economics. She and her husband, who works for the city of Newberg, moved to town a year ago and have been following the city council. It was through the council's joint meeting with the school board that Keuler became aware of the district's budget crunch for the 2018-2019 biennium. She began researching the district's ongoing challenges, including its search for an interim superintendent and behavior issues in elementary and middle school, and when she learned about the opening on the board, she felt her budgeting background would be helpful. After graduating from Oregon, Keuler took accounting classes there and through Portland Community College. Prior to the birth of her son, Keuler worked as an accountant for Frontier Management, which operates assisted-living facilities across the country. "I did a lot of new construction accounting, which is heavily involved with budgets, and then opening and running facilities as well," she said. "So I would do the accounting for the construction process and follow that through the first year or so of the opening to help them get off the ground and running." After attending recent meetings, Keuler said the board has done a good job vetting the district's proposed budget amid an unfortunate situation. "No one wants to do cuts," Keuler said. "But I think it's important that the district and the budget committee reviewing the district's proposal is keeping in mind the main goals of the district and making sure whatever cuts are being made are the best cuts to make and that will have the least impact on students." Keuler, who was set to be sworn in at Tuesday's board meeting, said she intends to run for a full four-year term on the board in next May's election. "My plan would be to be involved at least the length of my children's educational careers and as long as the public would have me," Keuler said.